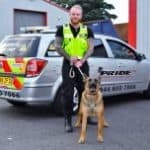 Pride GB is your local 24-hour security services and security dog handling company in Coventry. We provide security dog services, static security, mobile security, and key holding & alarm response services to keep storage areas, industrial estates, retail parks, construction sites, and factories secure. Pride GB’s security dogs are an extraordinarily effective deterrent against intruders – as effective as 5 conventional security guards. 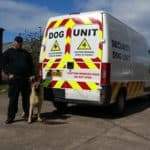 Our highly trained dogs and their handlers are NASDU qualified and always deliver a professional, high-quality service. Protect your property with our highly skilled, licensed, and uniformed static security officers. Our security guard service is tailored to suit your needs and ensures only the highest standards of work at all times. Our full uniform mobile security officers can patrol your premises whenever you require them. Our service is designed to provide a highly effective deterrent, ideal for those who do not need a constant security presence. Pride GB operates an excellent key holding and alarm response service in accordance with British Standards. In the event of an alarm activation, we provide a 24/7 rapid response in which our professional team will deal with any incidents as required. 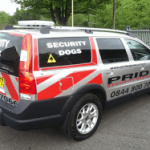 Call Pride GB now for more information regarding our security services in Coventry and make sure your premises are protected.